The Tesla Model S/X will have a proprietary charging connector with capabilities well beyond the standard charging connectors used today, but by going it alone could create problems down the road. At Wednesday’s annual shareholders meeting for Tesla Motors, amid talk of Tesla’s business roadmap, Elon Musk dropped some strong hints about the Tesla proprietary supercharger, as well as possible integration with solar panels. 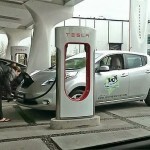 While there is a battle raging among automakers over the electric car fast charging standards, Tesla has taken a go-it-alone-approach with a proprietary charging connector that’s left everyone puzzled, but which Musk promised we’d understand once the full system was revealed later this month. Because the Model S and Model X are sold with massive battery packs, up to 85 kilowatt-hours in capacity, Tesla had to design in a much higher charge rate than is used on other electric cars. 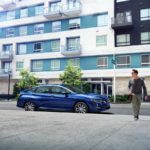 For example most of the charging infrastructure being installed supports a 30 amp charge rate, and the highest charge rate on competing electric cars is 6.6 kilowatts. Recharging an 85 kilowatt-hour battery pack at 6.6 kilowatts would take over 12 hours. Rather than having the Model S labeled as “taking forever to recharge”, it was designed with a higher charging rate, supporting a 10 kilowatt or optionally a 20 kilowatt charge rate, corresponding to 31 miles and 62 miles of driving range per hour of charging. Additionally the Model S supports an extremely fast charging rate, that will completely recharge the Model S with a full 300 miles of driving range in an hour. By contrast the CHADEMO standard supported by the Nissan Leaf and Mitsubishi i-MiEV supports only about 120 miles of driving range per hour of fast charging. Also see Despite Tesla short sellers, Musk promises cash flow positive in 2013 for more the business update section of the meeting. Musk explained that the Standard (J1772) is not good enough, for the Model S. First, the connectors used for the standard charging system are huge, bulky, and ugly. The Tesla proprietary charging connector is, according to Musk, small, compact and beautiful. Second, as we already noted, the charging infrastructure being installed now doesn’t support a high enough charge rate to be useful for the Model S battery pack. 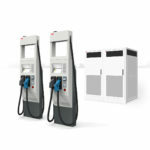 While the J1772 standard supports up to a 19.2 kilowatt charging rate, which could have allowed Tesla to use that standard for normal charging, that connector does not support the ultra fast charging rate Tesla desired for the super-charger. Leading to the third point, that Musk said the company could have compromised on using an inadequate connector, that would require a large ugly charging portal, and the ugly, bulky connectors involved. 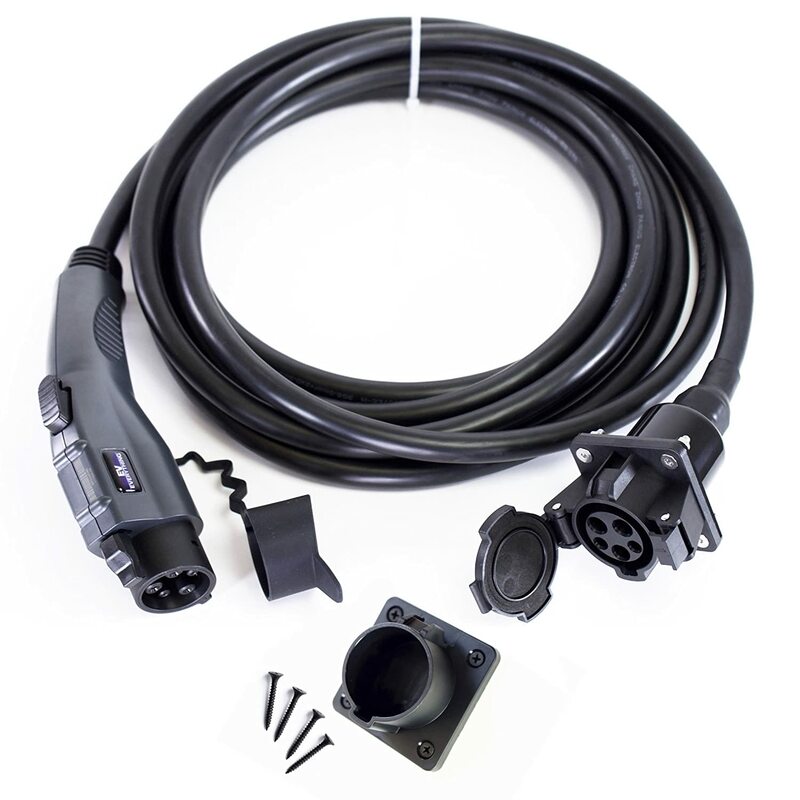 The fast charging cords, whether CHADEMO or the upcoming SAE Combo Plug, are even bulkier than the J1772 cord currently in use. 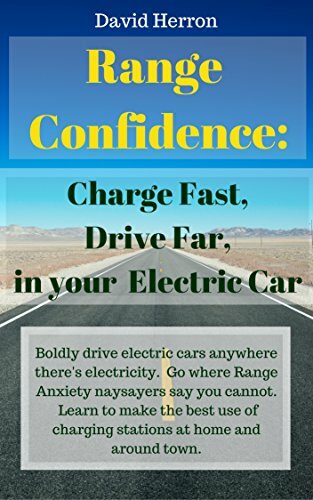 Further, Tesla’s design supports a 100 kilowatt charge rate which is way beyond the 50 kilowatt rate supported by either CHADEMO or the SAE Combo Plug. Instead, the company opted for a small, compact, and beautiful charging port which supports a range of normal and high charging rates. But does this mean prospective Model S/X owners will be stuck with a car that’s incompatible with the charging infrastructure being built? No. 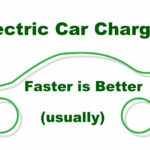 First, the on-board chargers are capable of adapting to pretty much any charge current or voltage. Second, Tesla supplies with the Model S and X adapters required to charge from several kinds of power outlets, most importantly the J1772 standard. In short, the Model S and X will be able to use the public charging infrastructure, just at a lesser charge rate than the Tesla-proprietary charging system. In the Q&A session one shareholder asked about the promise made long ago that the Model S would support a rapid battery swap. 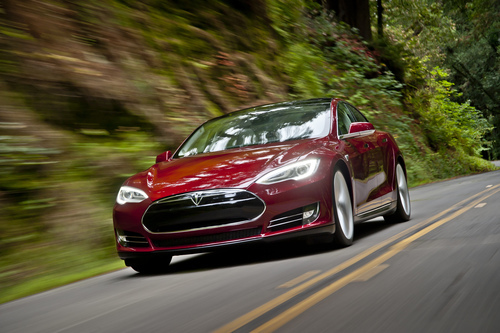 Battery swapping capability in the Model S was discussed in the financial documents Tesla filed shortly before the IPO in 2010 , but has been quietly dropped from descriptions of the Model S and X. Coincidentally, or not, Project Better Place is headquartered directly across the street from Tesla’s headquarters in Palo Alto. Musk did say the Model S was intentionally architected to support fast battery swapping, in under one minute. He then said “I think we will show you something interesting in that regard,” without saying anything more. Another shareholder asked about the possibility of integrating electricity from solar panels, to charge the Tesla Model S. Musk, being the Chairman of Solar City, a company which installs solar panels under a lease arrangement, is certainly a proponent of solar power. He said “Solar will be the single biggest source of electricity production in the world, certainly by the mid-point of the century, maybe even sooner.” But, Elon, what does this mean for using solar panels to charge your Tesla Model S? That was a tantalizing bit of hint-dropping, leaving us with not enough to grasp for proper speculation. The Tesla Supercharger system will not be sold to individual customers, but instead will be infrastructure that Tesla, or a partner company, will install at critical locations. In other words, it will be yet another charging network, solely for Tesla’s electric cars, existing in parallel with the other fast charging networks being built by 350Green, eVgo, ECOtality, and others. It will have some form of solar power associated with the charging stations, with details yet-to-be-revealed. One hears in Musk’s description of the Tesla-proprietary charging system a seeking-for-perfection that’s not willing to compromise beauty for functional utility. 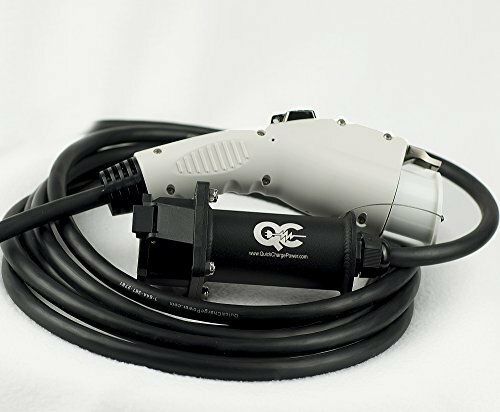 In the past the electric car world had competing charging connectors, and it was painful. 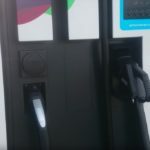 The Tesla-proprietary charging connector can be seen as a step backwards into a world of incompatible charging ports, or it can be seen as a manufacturer designing a charging port that fits real customer needs. As ugly as they are, at least the J1772, CHADEMO and SAE Combo plugs are functional, work, and are widely deployed. On the other hand, as Musk noted, they would be inadequate for the needs of Model S/X owners. There’s already enough of a battle in fast charging standards between CHADEMO, the SAE, and now the Chinese. 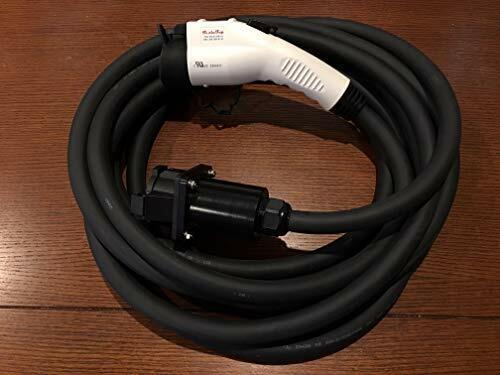 Maybe there really is a detante brewing between CHADEMO and the SAE, but Tesla appears steadfast in staying with their perfect proprietary charging connector.